This year I’m running the London Marathon and raising money for Evelina Children's Hospital. In March 2013, my week-old nephew Lucas was rushed to Evelina where he spent a week in intensive care. The hospital saved his life and now I’m raising money to say thank you (I raised money for the charity in 2013 when I ran the Paris Marathon – here’s a blog about that). I know people often ask for charity donations and seldom does the donater get anything back for their cash apart from the warmth of knowing they’re helping out a charity. 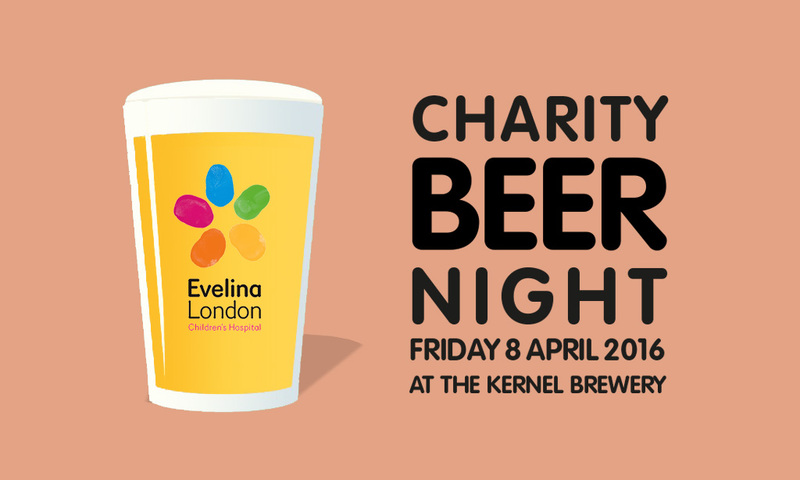 I wanted to organise something that actually gives people delicious things for their kindness and their cash, so I’m fundraising in the best way that I know – drinking beer. On Friday 8 April, at The Kernel Brewery, I’m organising a one-off beer night. 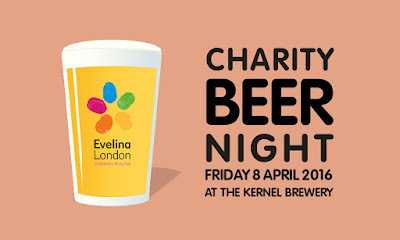 There’ll be a range of amazing beers on tap and all the money raised from the tickets (apart from the small booking fee) will go to charity – breweries are donating the beer, The Kernel are offering their bar and the staff are working for free (if you’d like to help pour beer on the night then let me know!). I’m working on the full beer list and I’ll announce that nearer the time, but be assured that I want the best beer line-up that I can get. UPDATE: Here are confirmed breweries sending beer: The Kernel, Vocation, Cloudwater, Gipsy Hill, Chorlton, Firestone Walker, Boulevard, Duvel, UBrew (I'm brewing a one-off beer!) and SeaCider. More updates soon...! The ticket is £20 and that gets you entry and five glasses of draft beer (they are 2/3-pint glasses). If you want to drink more then all other beers are paid for with cash donations on the night (just respect that this is a charity event and don’t take the piss!) There are only 150 tickets, so get them quickly. There will be a limited amount of cider but no wine or spirits. Grill My Cheese are cooking outside - these cost extra. Doors open at 5pm and will close promptly at 10pm. Get your Charity Beer Festival Tickets here! That’s not all… As well as this beer festival, I’m also doing a London Beer Run. On 2 April, a group of beer-loving runners will be doing a 20-ish mile run around London, passing as many breweries as possible on the way (should be around 20 breweries). If you would like to donate but can't attend the event, then the fundraising page is here, which is also the link for the London Beer Run fundraising. Today Lucas is a wonderful, crazy, hilarious little (almost) three-year-old and we have Evelina to thank for that. I’m hoping to raise as much money as I can for a charity that means so much to me and my family. 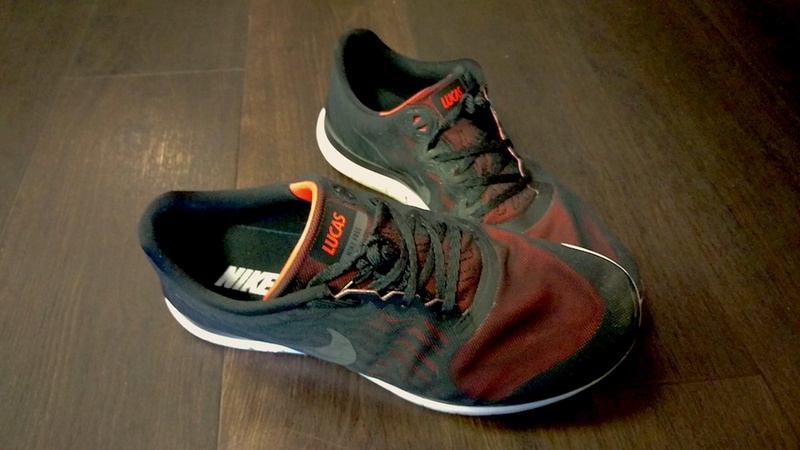 These are my marathon trainers. When my legs hurt, when I can't face another lap around Victoria Park, when I don't want to get up at 6am to go to the gym, I look down at my battered feet and I see the reason why I'm running. 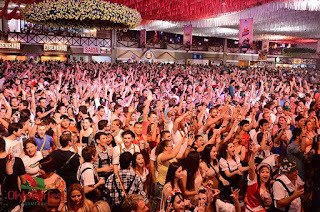 A century later, in an attempt to draw in tourists, the town decided to market its Germanness and play up to its past, eventually leading to 1984 and an ostensible Oktoberfest, which has since become an annual thing. 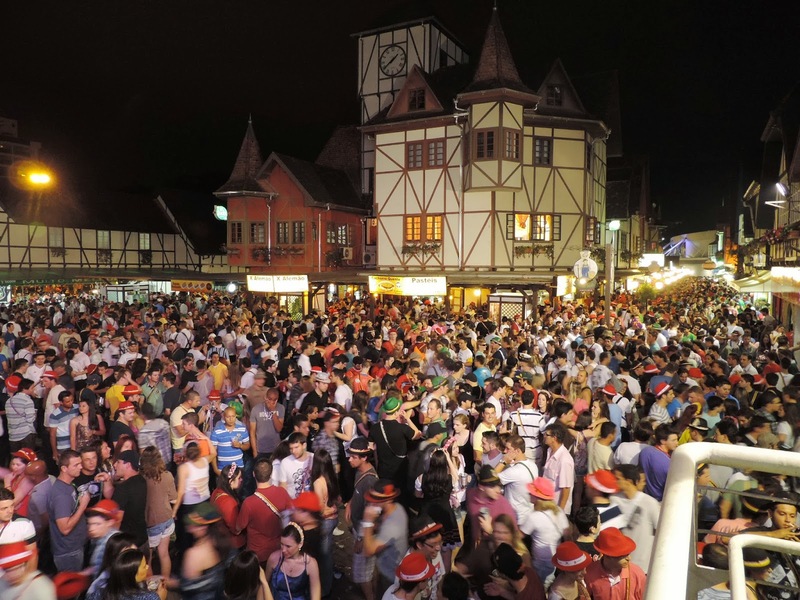 Alongside the party they built a replica German village, complete with a small castle which is modelled on Michelstadt town hall, and lined their streets with shops selling typical German clothes, food and beer glasses, all while encouraging the citizens to embrace their German heritage. Today the people of Blumenau call their Oktoberfest ‘The Party.’ The whole town builds up to it, the whole town gets excited about it, they dress up for it and they drink steins of German-style beer when there. If they didn’t do it annually, and they didn’t take it so seriously, you’d almost think it was the most elaborate parody you’d ever seen ­– a trick for the tourists. But it isn’t. And it’s a big deal: it’s literally put the town on the map and draws in hundreds of thousands of visitors every year. 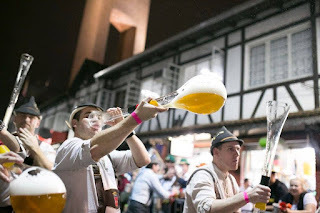 I was there searching for the best beer in the world and while the ones I drank there might not have been the best-tasting, the experience was unbeatable. And that’s what really matters – it’s the main lesson I learnt on my global beer drinking adventure – because sharing drinks and good times with people is the reason beer is the greatest drink in the world. This is adapted from a blogpost I wrote for Foyles last year and I thought I’d share it here. 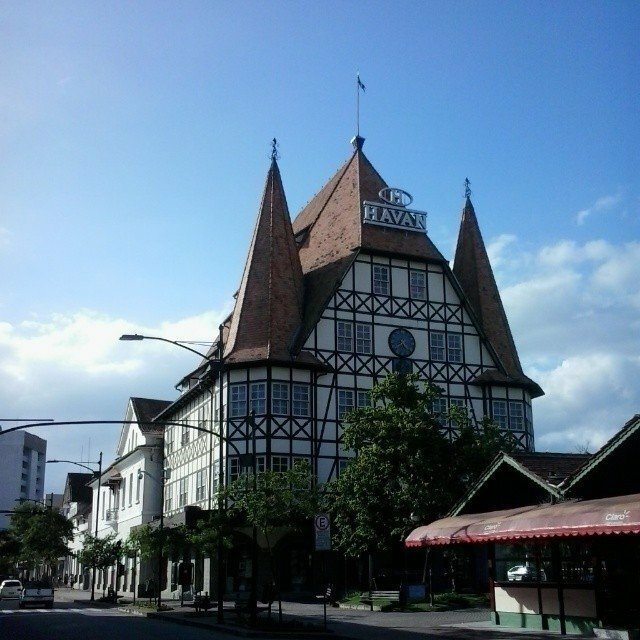 In TheBest Beer in the World I tell the full story of Blumenau – how the town was founded, how it grew, how Dr Blumenau struggled but ultimately succeeded, how he built a brewery in his garden, and then how the Oktoberfest grew and what it’s like today. It was one of the most remarkable trips I’ve been on and one of my favourite stories in the book. 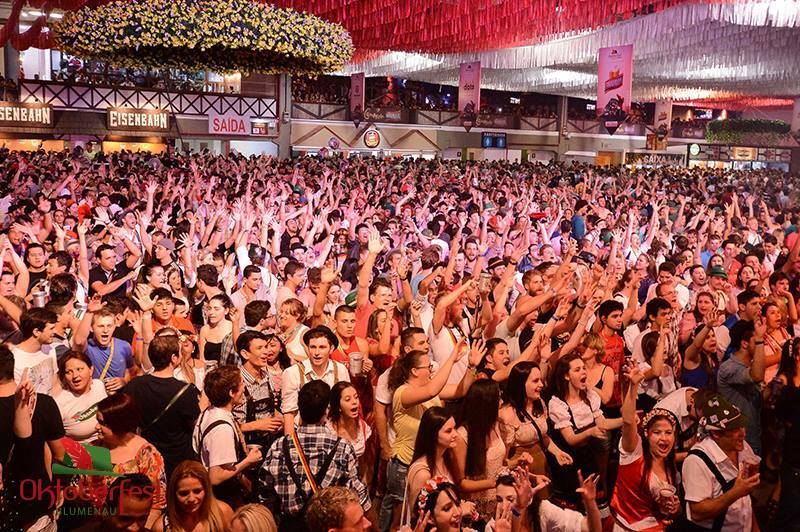 Most of the images are from the official Oktoberfest Facebook page.